Unless you have been living under a rock, the terms “content marketing” and “SEO” are fairly recognizable. These buzzwords have captured the attention of almost all businesses and companies that are present online. Marketing pundits are now realizing – and leveraging – their worth in creating a brand image and increasing revenues. If you are still unsure about what these terms actually mean, here is a brief description. The key term here is “valuable.” Valuable content is content that is not pushed down the throats of users in order to make a hard sell. Instead, it aims to provide people with accurate, relevant, and helpful information at no cost in order to help them while providing brand awareness at the same time. Content marketers are involved in the creation and promotion of online matter which attracts users to it. It is juxtaposed with traditional marketing strategies, which mainly employ pushing the product towards the users. Let’s be honest. Capitalism and commercialization have a strong hold on the consumer’s mind and they are bombarded with advertisements at every level. Over the time, these advertisements began to annoy people, and thus the idea of a much less intrusive and more benign way of promoting your product came into being – a.k.a., content marketing. 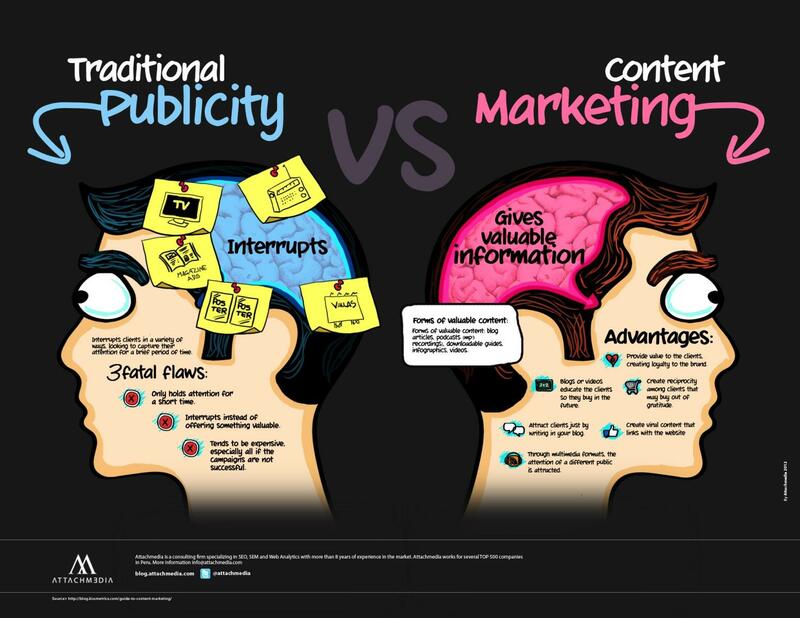 Content marketing is unlike the door-to-door sales person that you desperately try to avoid. It is more about empowering consumers with information and then letting them decide which course they choose. The better the content (read: valuable and relevant) you deliver to your users, the more they’re apt to like your brand. And as we all know, user behavior is a critical component in affecting search engines rankings. So we all can agree that content rules all, and more so when it involves Google assigning your website a rank. 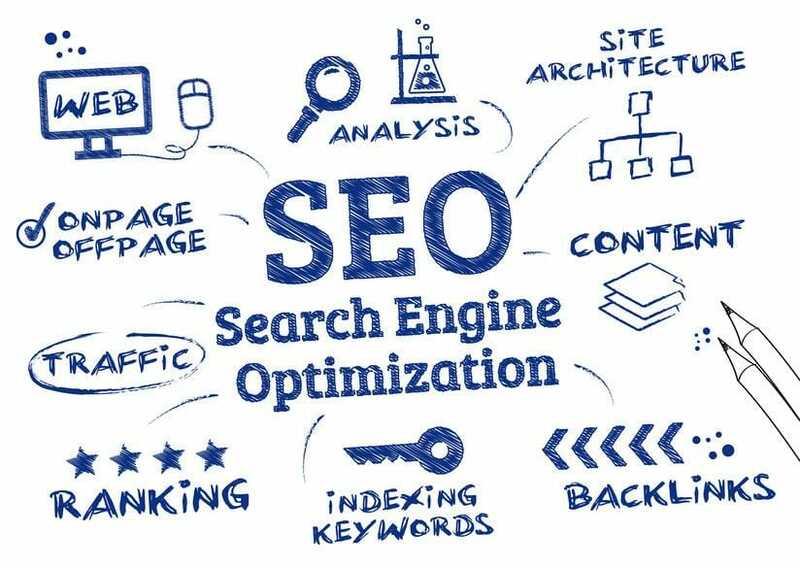 Now let us slightly shift our discussion to another factor that has predominantly influenced search engine ranking of your website: SEO (search engine optimization). As the name clearly spells out, SEO encompasses a bunch of techniques employed by experts to ensure that your website ranks higher in search results. You apply SEO techniques to drive organic (or free) online traffic to your website. It encompasses everything from finding a great domain name and gathering relevant keywords and inbound links to creating content and using influencer marketing. It is an umbrella term that describes each and every tactic used to optimize your website’s visibility and usability. It doesn’t require a degree in rocket science to understand that both these concepts are largely interconnected. 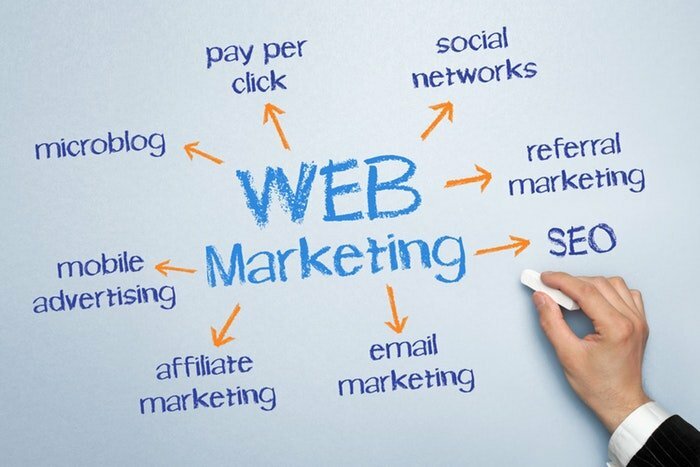 While a horde of marketing experts may want to pit one against the other, in reality both these entities are crucial in attaining the singular goal of boosting your website’s online presence. 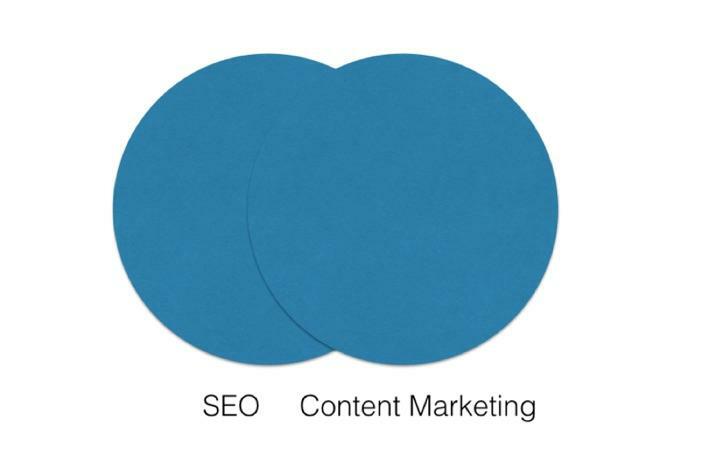 Now the real question is, is content marketing one of the critical components of SEO? To put SEO and content marketing into different boxes, thinking they are two distinct ideas, is an act of blatant ignorance. Let me explain why. There is an old proverb that says “You can lead a horse to water, but you can’t make it drink.” In the context of online marketing (or marketing in general) it means that you can bring online traffic and users to your website, but you cannot ensure that they are going to stick around. For your users to spend considerable time navigating your website and convert, you need to present to them website content that is engaging and useful to their query. Going by the horse analogy, if there is no water for the thirsty horse, will it stick around and appreciate your gesture? No. In fact, it may never trust you ever again. In the same way, if your SEO techniques are somehow able to pull in some people without providing any well-designed content, users may bounce off to another website within the blink of an eye. For instance, Lifesaver Essays, a company that writes student essays, shows real-time user statistics to visitors. This encourages the visitor to make a decision. They also have a bidding system where multiple writers bid and the user can chat with all of them before making a purchase. This empowers the user, gives him or her a feeling of security, and increases confidence in the company. People are spending more and more of their time on the Internet. In fact, according to studies, the amount of time we spend online has almost doubled in the past decade. Marketing your product by connecting with your target audience at the right time is what digital marketing is all about. This umbrella term, encompassing every online strategy and tactic used to attract and convert users, has the elements of content marketing and SEO implementation at its core. How many visitors are visiting your website? How well are you able to convert those visitors? In other words, how much organic traffic does your website receive and is that incoming crowd buying what you sell? The thing that you are “selling” on your website doesn’t necessarily mean that you are actually selling a product or service online. In broad terms, it refers to any information or content that your website is providing to the user based on his or her query. Take a step back and try to get a macro-view of the entire process. You want accurate SEO implementation that exposes your website to a larger demographic of online users. And you also want to serve them with relevant and usable content so that they gain some meaning out of their search. The ABCs of both SEO and content marketing include determination of keywords and building good-quality links. Content marketing now increasingly involves updating and improving the brand’s social media presence as well. The optimization of on-page elements and providing a superior user experience to website visitors are now part and parcel of content marketing strategies, too. Yet the biggest and most noteworthy evidence in support of this argument is none other than the search engine giant, Google. Here’s the thing about Google: it loves fresh, high-quality content. Why? Because users love fresh, high-quality content, too. Google knows that recently updated content will be more useful and relevant to a user’s query as compared to something that was posted several years ago and never updated. Even if the older content was comparatively more informative and engaging, when seen from Google’s point-of-view, the fact that it wasn’t updated and indexed recently means that Google will not assign it a high ranking. Google also evaluates a website’s worth by the number of “trending” keywords it contains. This keeps frequently changing with time. Depending on whether it is the football season or the GOP elections, the rankings of websites change accordingly. When Google started out, it mainly identified websites based on the density of keywords and assigned a rank. This simple algorithm was rife with flaws as websites with no utility or usability started teeming their webpages with keywords and meaningless links, without providing any relevant help to the user. Such optimization techniques, known as Black Hat SEO, employ aggressive strategies to pull online traffic to the website by finding loopholes within search engine algorithms. The sole motive of Black Hat experts is not to enhance user experience and build a long-term positive brand image; their only goal is to increase online traffic to enhance rankings – an exercise in futility, seeing as how Google got rid of these spam websites. To end this catastrophe for once and for all, Google built a robust set of algorithms, which takes into consideration some 200 odd factors related to a website’s content and usability before assigning it a place in the SERPs. If case you didn’t notice, all these factor revolve around just one idea: content. That doesn’t mean that SEO is going to get buried under the sands of time and newer, much-improved search engine algorithms. You will still need sound technical SEO experts to get your website up and running. You will still need SEO techniques (White Hat SEO) to accumulate keywords, inbound links, and all that jazz. It is just that SEO alone will not guarantee you online traffic. A significant proportion of the criteria with which Google evaluates a website’s quality is largely residing within the boundaries of great content marketing. There are 1.24 billion websites in the world and hundreds of thousands of sites being launched every day (140,000 per day, according to the most recent stats), so your brand needs to establish its own unique identity. This is where content marketing takes the front seat in infusing quality and depth to your online presence. SEO will take care of the technicalities which ensure that your website is complying with the legal standards. Once all the requirements are met and all the optimization pieces fall into place, there is not much left to do except…. Design and create content that packs a punch, is compelling and original, and draws online traffic owing to its high quality. Whether you have been running your own business or are a newbie in this arena, you probably already know that identifying consumer trends is important – for deciding which marketing mix should be followed and for discovering which product will appeal to your consumers the most. In short, if you want to make money by providing your customers with a unique and satisfying online experience, you have to know what they want – i.e. what’s trending. 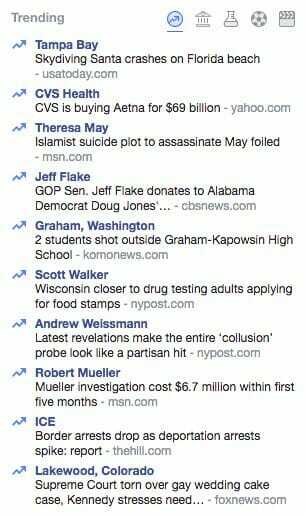 There are several sources for discovering current trends, like Google Trends, Buzzsumo, even Buzzfeed, and of course each social platform has their own trending topics column (Facebook pictured below). Mobile-based web traffic is increasing at a much higher rate than desktop-based traffic. In fact, more online searches are being made through smart-phones and tablets. There are roughly 1.5 billion users who access the Internet through their phones. Social media presence of brands is at an all-time high. Facebook witnessed a record 52% growth in its ad revenues from businesses amounting to almost $8 billion. The USA alone accounted for $340 billion worth of spending on e-commerce websites in 2015. Millennials are flocking to platforms such as Snapchat and Instagram, with millions of pictures being shared here every day. 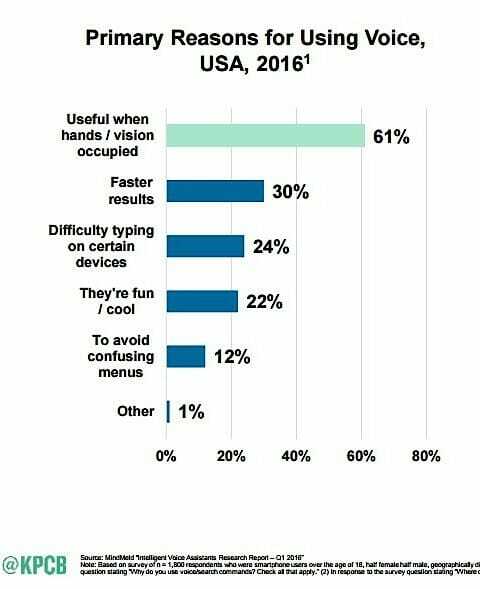 People are moving away from keyboards when it comes to making online searches. Voice-based searches now comprise almost 20% of all Google searches (and there are 3.5 billion searches made on Google every day). Videos are fast-emerging as one of the more preferred ways of communication. There are more than 500 million hours of videos viewed via YouTube and almost half of all Facebook and YouTube users view more than an hour of videos on a weekly basis. Let’s go a bit deeper into the most impactful trends observed in the past few years and analyze how creation of rich content is ingrained into almost every one of them. Take for example, the sudden surge of websites going responsive. 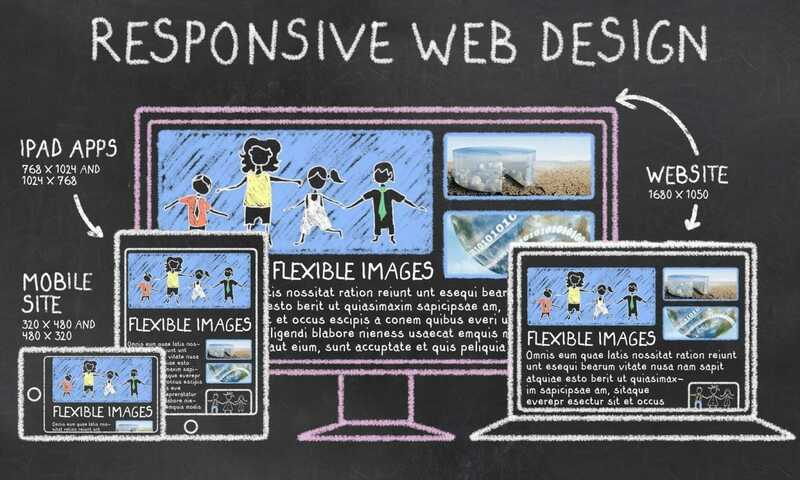 Responsive designs refer to the mobile and tablet-based design of websites to suit the needs of people who are not tied down to their desktops every minute. If you have to pinch and resize your smartphone screen when viewing a website, it’s not a responsive design. With billions of people now preferring mobile sites and apps over the traditional desktop version, the key to a successful digital marketing strategy is to focus on this factor. People who used to use desktops are increasingly surfing the Internet on tablets and smartphones exclusively or in addition to desktop, so a responsive design makes the boundaries between these devices fluid and/or virtually non-existent. Now the cornerstone of a responsive website design is – yes, you guessed it right – the content. It is foolish (and largely impossible) to build the framework and structure of a responsive website without a clear understanding of the content. 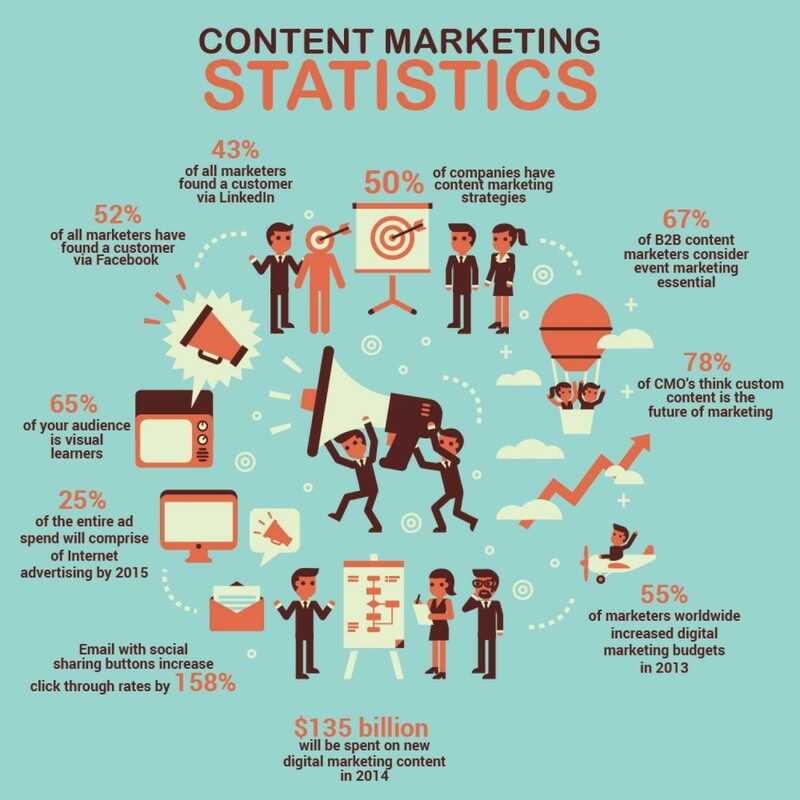 Content marketing and strategy is of more importance here since people want the same content over mobile devices but implemented in a way that is more coherent with the portable nature of the device. Which places sell the best hamburger nearby? Without even noticing, you changed the format in which you expressed your question. Voice-based search systems like Google Voice Search or digital assistants such as Cortana or Siri are designed to understand normal human linguistics and semantics. With millions of voice-based searches made every day, if your website is “silent” (invisible) in the search engine results, you are missing out on a significant proportion of the market. This means that in order to cater to the huge market that prefers to speak rather than type a query, you need to align your content accordingly. In the above scenario, a longer and more complete sentence structure is more useful as a “keyword” rather than just a few words spoken together. Another crucial factor is the “nearby” or “near me” clause. 41% of adults use voice-based searches and voice searches are 3X more likely to be used for finding things in the close vicinity of the user. So, if you have a physical business, you can hit the jackpot by engineering your content accordingly. 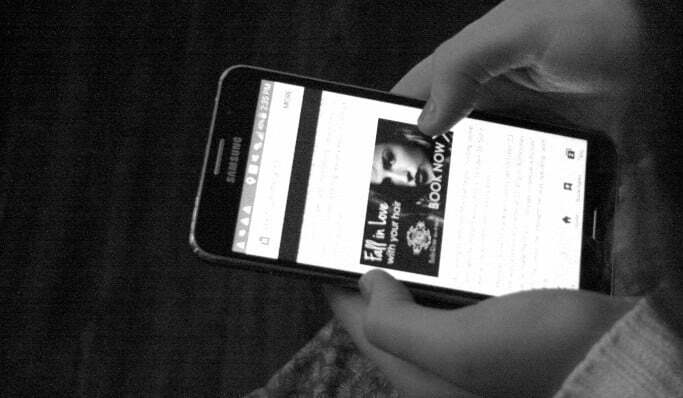 Studies have also revealed the situations where users are more likely to use voice-based searches – when people have their hands occupied (while driving, for example), when they are looking for faster results, when they find typing a bit of a hassle, and also when they are struggling to understand a complicated menu. When it comes to voice-based searches, aiming to be the first search result is not an option anymore. With such searches, people go with the first result they see (remember how people want it to be a quick, hassle-free task?). So, enhancing your rankings through voice-based systems inherently requires the design of a suitable content. Yes, it all comes down to content. Moving ahead to the next big thing – Artificial Intelligence and Machine Learning. And RankBrain. RankBrain is an AI module based on machine learning which facilitates better search results for users. 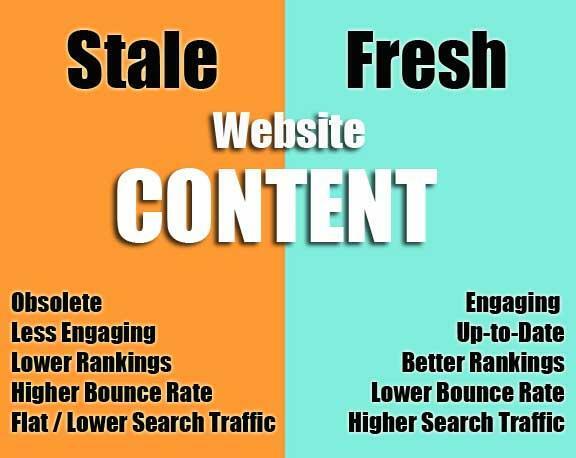 In simple terms, it is one of the many entities of the vast algorithms which assign rankings to different webpages. Machine learning and deep neural networks are increasingly becoming core elements of Google’s search algorithms, with RankBrain being the third-most prominent factor in showing search results. Why am I telling you these facts? 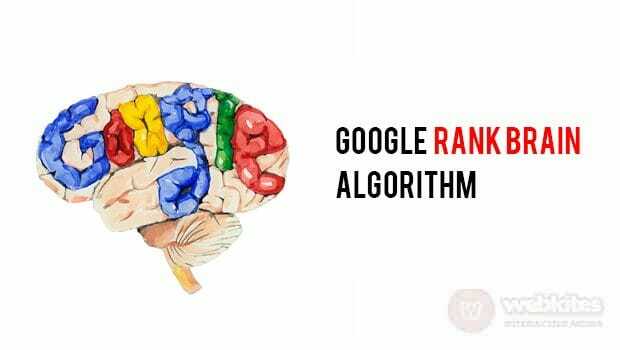 The answer is that RankBrain, the god of all search engine rankings, also believes in the power of content. It operates on the principle that if users are spending more time on your website, it must be a pretty good website. Also, the level of user engagement is a critical factor for RankBrain. It takes into consideration whether users are periodically bouncing off from your website, as such websites are ranked lower. This AI module also tracks your past searches and shows you relevant ads and search results based on search history. Online users show highly fluctuating trends. They sometimes exhibit the attention span of a goldfish, while on other occasions they might sit back and read a 3,000-word article. The kind of online content that receives the highest number of social media shares is usually the kind that has an in-depth analysis. Longform content receives higher readership, but short bursts of “snackable” content is valuable to your brand, too. 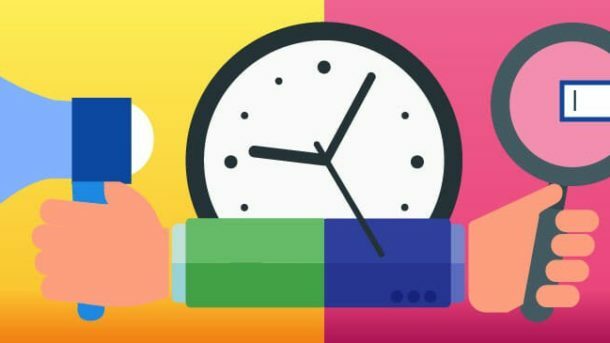 Basically, when it comes to making the search engine giant, Google, work for you, the biggest decision you are going to make is going to be content-related. A popular quote among digital marketers is this Huffington Post headline: “The Best Place to Hide a Dead Body Is Page Two of Google”. If your website is not appearing in the first page of search results, your brand is almost dead. The point I am trying to make here is that the Internet is an extremely pulsating environment. Making note of these trends further reveals the importance of content marketing. Look at the figures closely. Mobile (responsive) website designs, social media influence, online shopping websites, increased number of image shares, and a surge in voice-recognition systems – all of these are focused on creating power-packed content. Great content is one of the biggest influencers of online searches. It is predicted that content marketing will see a huge surge in investment – almost $300 billion by 2019. This means one thing for all online businesses and brands: integrate content with SEO and watch your profits soar higher!